Mexico’s charm and appeal are clearly evident judging by the millions of tourists who flock here every year enjoying the tropical atmosphere at its top beach destinations. 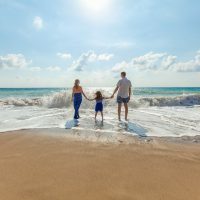 Beach tourist destinations such as Cancun, Cabo San Lucas and Puerto Vallarta have long since played host to eager sun worshipers from all corners of the globe. 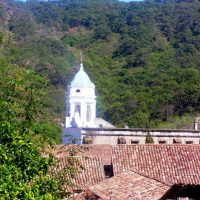 Nevertheless, not so far away from these popular beach destinations you will find magical towns known as Pueblos Magicos which are really worth a visit. There’s no place in the world more romantic than Cancun, Mexico. With its distinct ambience that’s surrounded by truly sweet breezes of air, you know it calls for a celebration of a deep rooted emotions between two people in love. Here are 10 suggestions of romantic things to do in Cancun, Mexico. Let the power of music sweep the both of you off your feet. 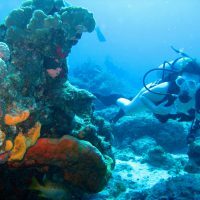 Diving in Cabo San Lucas should be number one on your list if you love to scuba dive or go snorkeling. The diving in Cabo San Lucas will surely live up to Jacques Cousteau’s quote about how “the aquarium of the world” is in the Gulf of California. There are many sea creatures, breathtaking coral reefs, and schools of tropical fish in the Sea of Cortes. Nobody wants to be involved in unpleasant situations while in a travel spree. You might be confident about your health and your safety precautions but there is no guarantee there will be no trouble while you travel. Travel insurance is your handy tool whenever a situation arises and you are left with few aids around, especially in a foreign land. Having a valid travel insurance policy is a wise choice and there are other benefits to it. 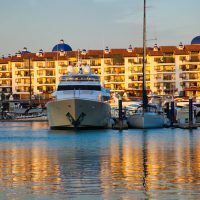 The Marina Vallarta on Banderas Bay in Mexico is where you can enjoy a carefree lifestyle along with enjoying some of the finer things in life. The Marina Vallarta on Banderas Bay will provide you with sophistication along with a casual and relaxed time. The Marina Vallarta on Banderas Bay has a bit of everything, which includes gourmet dining, boutique shopping, spa services, and the real estate options are literally jaw dropping.